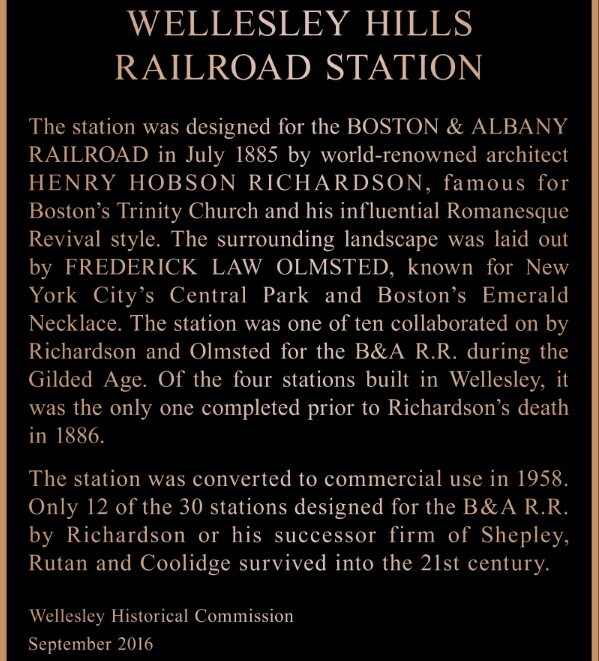 After approval by the Town of Wellesley’s Design Review Board, the Zoning Board of Appeals recently approved a Special Permit for the Wellesley Historical Commission to mount a plaque to the exterior of the extremely historical Wellesley Hills Railroad Station, currently occupied by Caffe Nero. Caffe Nero has been a great partner in the efforts to restore original elements of the Station and open up its beautiful interior to the public. Stay tuned for further details on the unveiling ceremony.